All FOXGLOVE homes currently listed for sale in Park City as of 04/18/2019 are shown below. You can change the search criteria at any time by pressing the 'Change Search' button below. 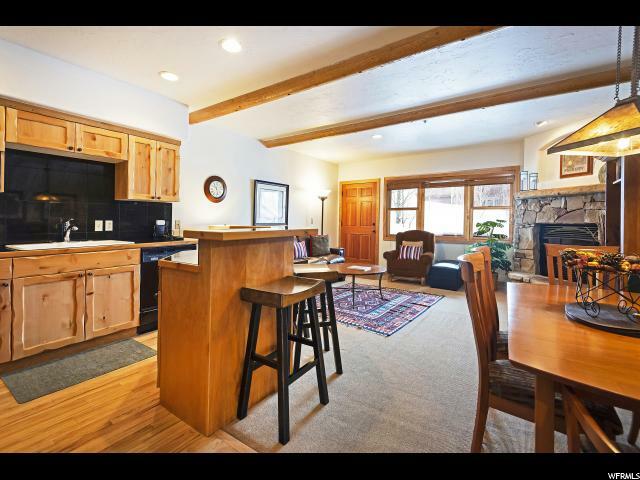 "Don't miss this opportunity to own one of the best well-kept properties in Deer Valley under 1M. This townhome has been meticulously maintained and every detail has been paid attention to. Please see the list of recent updates: Newer Amana variable speed furnace. Newer 2.50-ton central air conditioning system. Newer casement windows for enhancement of cross-ventilation. Newer roof with new heat tape. Hot tub properly situated to comply with all electrical and building codes. Ample storage in the large crawl space. This property has been in the nightly rental pool for 15 years. Income can be provided upon request to potential buyers agents with qualified buyers. Furniture is available on a separate Personal Property Transfer Agreement."